Do You Need an Air Conditioner Service In Brisbane? With Summer around the corner and Qld’s tough summer and winter weather would you like to be caught out on a really hot day? Regular air conditioning maintenance and servicing is the best form of preventing a breakdown. Air cons are like cars, they will end up costing you more money in the long run if you don’t look after them. 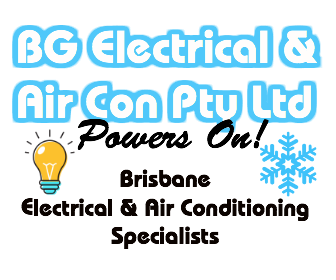 BG Electrical’s Brisbane air conditioning service and installation department will be able to help you decide on the best option for your situation and we will then take care of everything else. You won’t need to remember when it is due as our admin staff will contact you at the agreed time and remind you of the service appointment. What does an air conditioning service involve? Each air conditioning system service will vary slightly but most will involve these basic checks as well as any extra maintenance our experienced air conditioner technicians find. check the outdoor units and in good working order and that the fan is operational.